You think you know him? Finally, you can know everything. For the first time ever, Edge opens up and tells his complete story. You Think You Know Me? 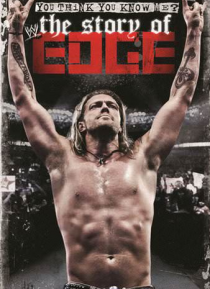 The Story of Edge is packed with new interviews, as friends, foes, and Edge himself reflect on his storied career from his days dreaming of a career in sports entertainment through his tag-team successes with Christian, his historic runs as world cha… mpion, through his shocking retirement after last year's WrestleMania.